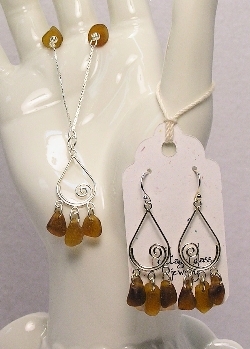 Hanging from sterling silver findings of your choice, these sterling chandelier drop earrings are adorned by pieces of genuine brown Lake Erie beach glass. Perfect for dress or casual wear! Please note: these earrings will be made with a pieces of beach glass approximate to the ones shown - all pieces of found beach glass are unique.